Figure 1: Merluccius merluccius (Linnaeus, 1758) photographed in Livorno, Calafuria by Stefano Guerrieri. The European hake (Merluccius merluccius; Figure 1) is one of the most important fish species for the European fishery. It is usually found in the Atlantic and Mediterranean between 75 and 400 meters in depth and can live for as much as 20 years and reach a maximum of 15kg. 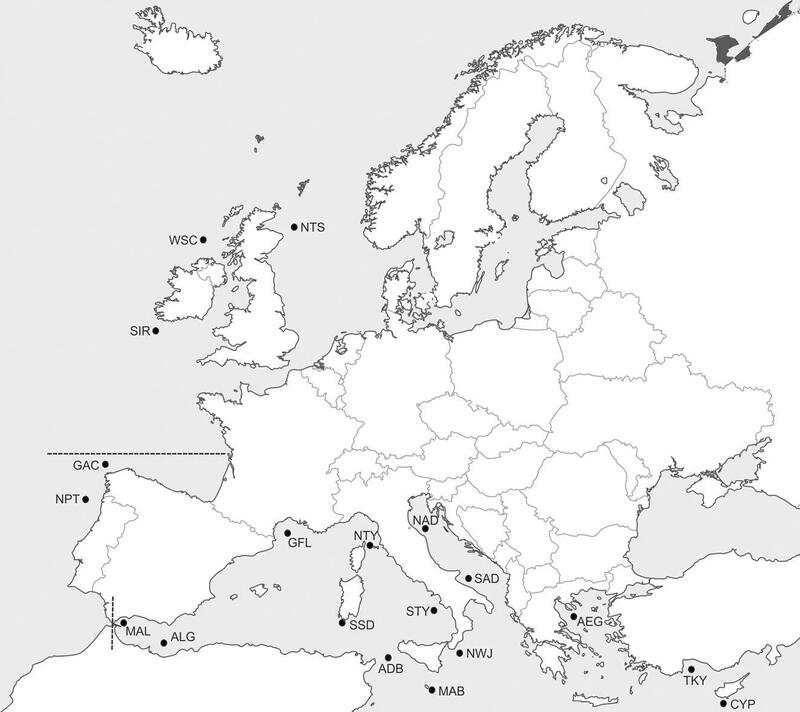 Currently there are two stocks or management units of European hake in the Atlantic: a northern stock in the North Sea and off the coasts of the UK, Ireland and France, and a southern stock found off the coasts of Spain and Portugal. Furthermore, the Mediterranean hake stocks are currently being managed by individual countries. Despite its economic importance, European hake stocks are often being assessed as overfished. It is well known that the accurate assessment of stocks is critical for effective management and species conservation. The current management units of European hake were initially defined without considering the hake population structure and therefore it might need adjustments. However, there is not yet a consensus about how hake populations interact across its distribution range. A better knowledge of the population’s genetic structure (the pattern of genetic diversity across populations) is needed to achieve effective conservation and management plans for the European hake. Figure 2: Map of sampling locations. Milano et al (2014) analyzed 850 hake individuals from 19 sites (Figure 2) using one type of genetic markers called Single Nucleotide Polymorphisms, or SNPs (DNA sequence variation in a single nucleotide between individuals). According to the markers characteristics and the area of study, the authors defined four different groups of SNPs: 299 neutral and 17 non-neutral SNPs for studies in the entire distribution range of the species, 7 non-neutral SNPs for studies within the Atlantic and 19 non-neutral SNPs within the Mediterranean basin. In population genetic studies, regardless of the type of genetic marker that is used, it can be considered a neutral or a non-neutral genetic marker. ‘Neutral’ means that the changes or mutations in this region of the DNA will not change the ability of the organism to survive and reproduce but even if it is not apparent what these adaptations are, they might be worthy of preservation. Neutral genetic markers are very helpful to clarify general patterns of structure however they might not be sensitive enough to detect low structure, i.e. very small genetic differences between populations. Therefore, non-neutral genetic markers, also called outlier markers, have been reported to be very useful and can provide crucial information to better design conservation and management units (for more information see: http://onlinelibrary.wiley.com/doi/10.1111/j.1752-4571.2011.00206.x/abstract). Figure 3: Results of the cluster analysis based on A) 7 outlier SNPs within the Atlantic and B) 19 outliers within Mediterranean. In this study, comparing to the neutral markers, the outlier or non-neutral SNPs identified a much greater genetic difference between the Atlantic and Mediterranean samples and also detected different genetic structure within basins (both Atlantic and Mediterranean). The results using outlier markers in the Atlantic indentified three distinct groups as shown in Figure 3A (each group or cluster is represented by a different color – pink, blue and yellow). The outlier analysis in the Mediterranean (Figure 3B) distinguished the Western (cluster represented by the three colors orange, purple and turquoise), Central (mainly orange) and Eastern populations (turquoise). 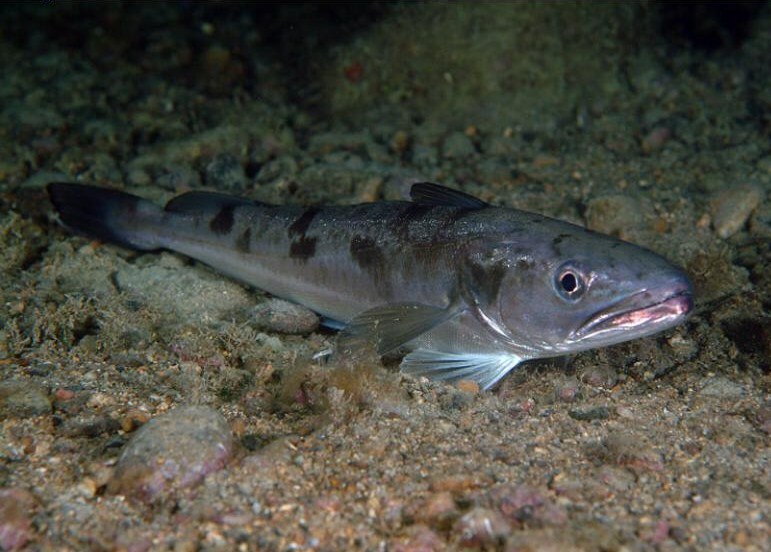 Additionally, also looking at the outlier markers, the authors found a significant correlation of gene frequencies with temperature and salinity at the surface, which suggests that the different groups of European hake populations identified might be locally adapted. The process of selection driven by the environment can decrease immigration (for example, variation in temperature affects larval survival and consequently reduces the number of individuals that move from one site to another), which increases the differences between populations. Nevertheless, it is important to keep in mind that this process of adaptation is actually difficult to test, especially in non-model organisms (species that are not extensively studied) such as marine fishes, therefore these results should be seen as indicative. This study demonstrates how powerful outlier markers can be as a tool for observing differences in genetic structure. In addition, it stresses the importance of using updated population information to adjust the management plans that are currently in place for the European hake stocks.